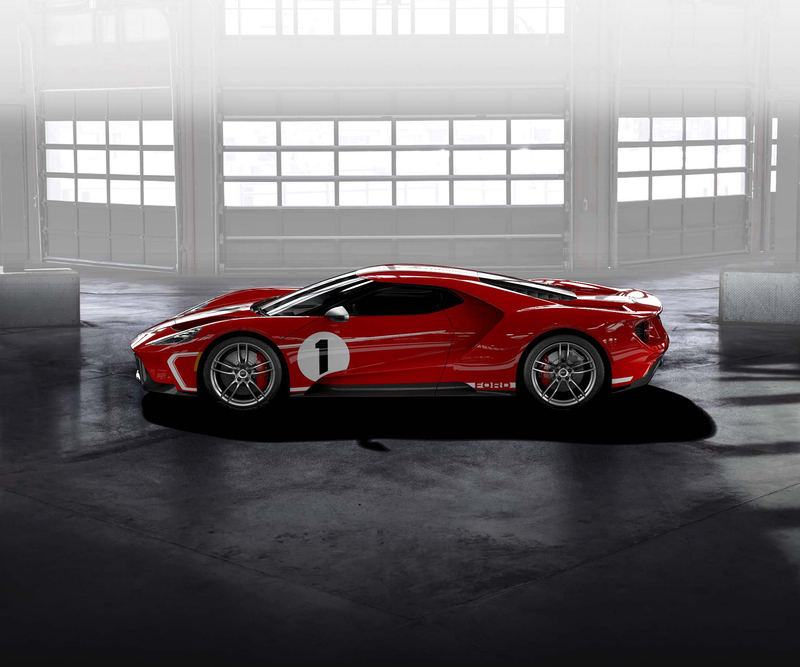 If you are one of the lucky 500 people who get to buy a 2018 Ford GT, you'll have the option of getting the '67 Heritage edition. Well, at least some of you will as the option will only be available in "limited quantities." This stunning Race Red with Frozen White accents livery is a tribute to the 1967 Le Mans-winning No. 1 Ford GT40 Mark IV that was driven by A.J. Foyt and Dan Gurney. 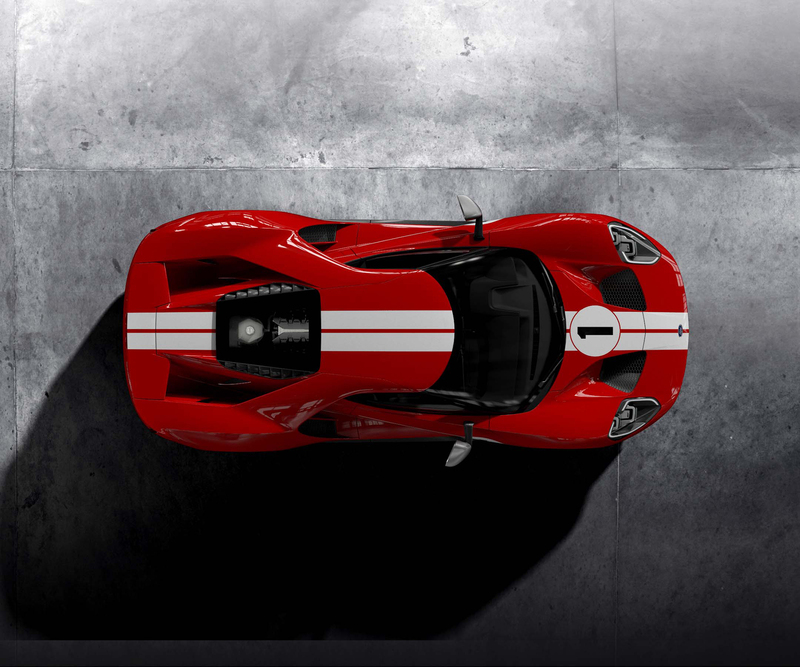 In a press release from Ford, Dave Pericak, global director of Ford Performance said "In creating a worthy successor to the 2017 Heritage edition, we logically looked at our next historic Le Mans victory with the all-American team of Dan Gurney and A.J. Foyt. 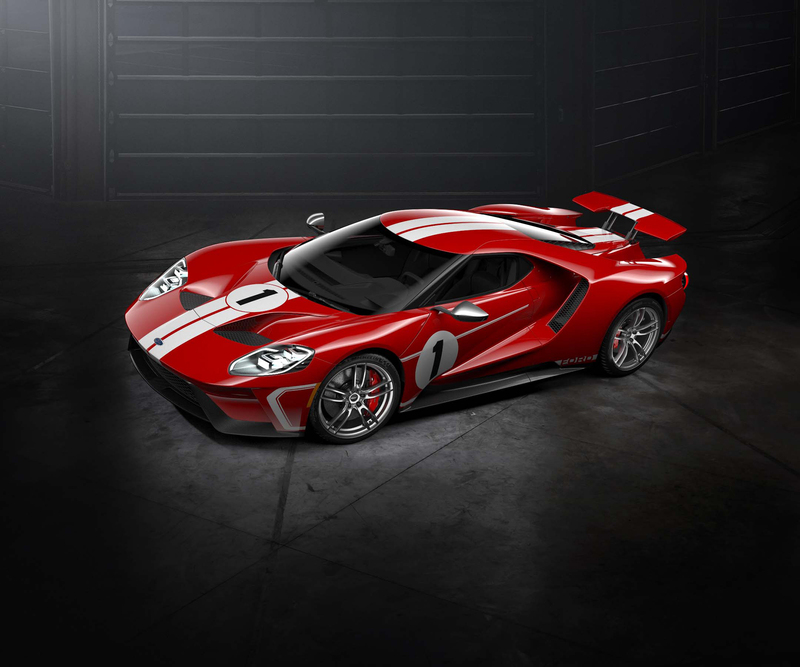 The 2018 Ford GT ’67 Heritage edition pays homage to that win, with a modern take on one of the most important vehicles in Ford’s storied history of racing." The 1967 Le Mans winning Ford GT40 Mark IV with drivers Foyt and Gurney joined by a new generation of Ford GT drivers (L to R: Scott Dixon, Ryan Briscoe, Joey Hand, Dirk Müller, Richard Westbrook and Sébastien Bourdais). So, what does one get with the ’67 Heritage edition? Sadly for some, no extra performance bits, but do you really need that with this car? On the outside, you get the high-gloss Race Red paint with the Frozen White racing stripes and graphics. The wheels come in a silver with a satin clear coat and are held on to the car with black lug nuts. The brake calipers are painted red, and the side-view mirrors are finished in silver. Inside, you get leather trimmed carbon fiber seats with red stitching. The steering wheel also gets red stitching accents. The seat belt webbing is red while the paddle shifters are in anodized gray. 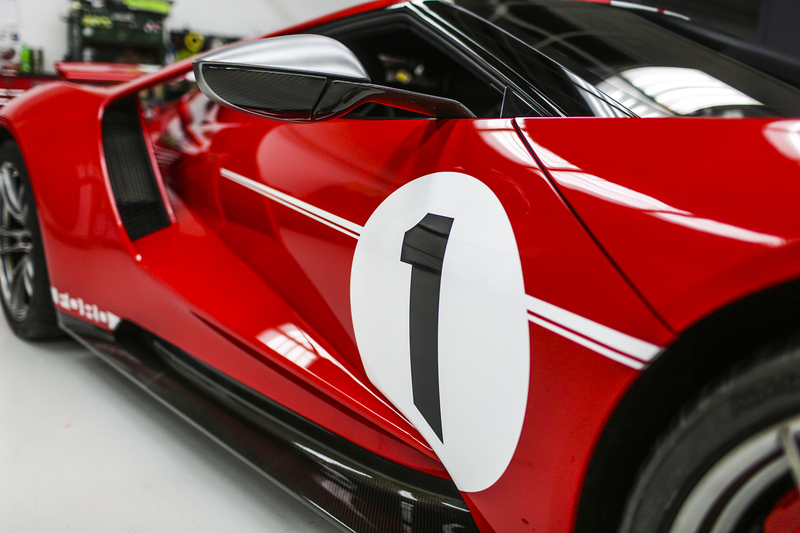 The interior and exterior both feature a very tasteful amount of exposed carbon fiber.The who package is a fitting tribute to one of Ford's most famous race cars. 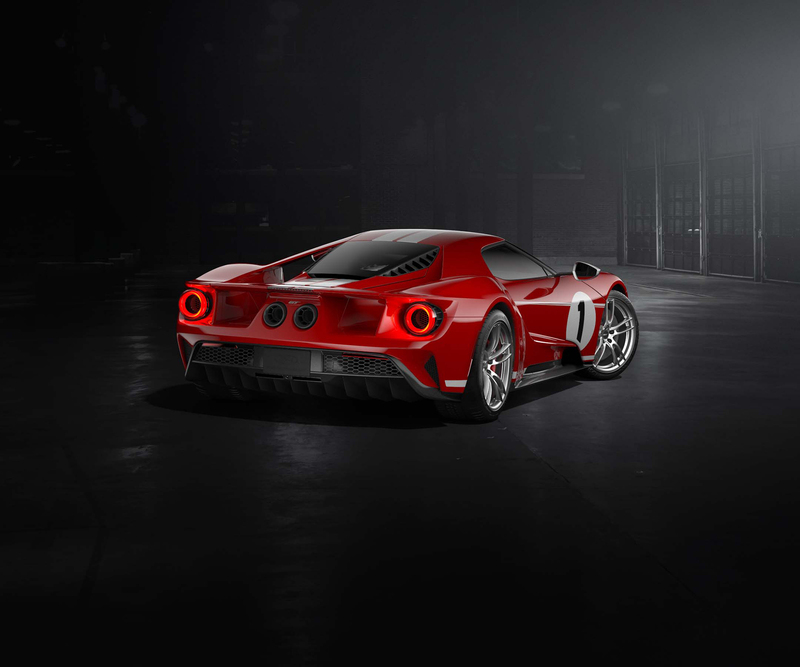 While the 2017 Ford GT '66 Heritage edition looked great and got the details right, it doesn't have the "wow factor" that the '67 Heritage edition does. Sure, the Race Red paint really pops. The Frozen White graphics and black carbon fiber accents really go well together and help define the shape of the car. 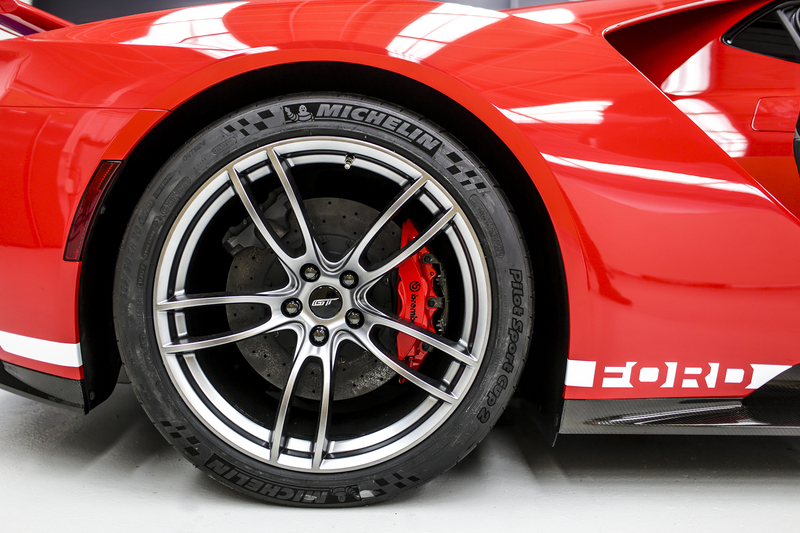 The Shadow Black of the '66 Heritage edition tends to hide all the amazing details of the Ford GT. 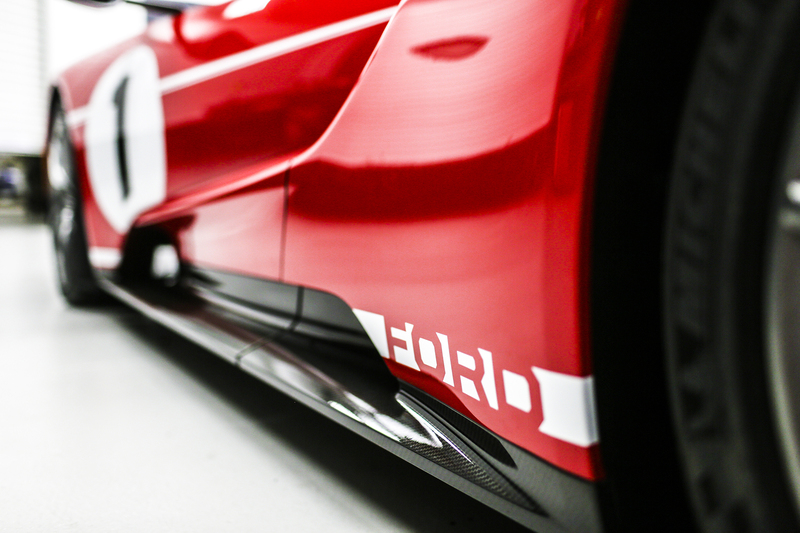 On the Ford GT, the details are worth showing off. There is one thing Ford didn't do with the '67 Heritage edition that maybe they should have. It really should have the "Gurney bubble" in the roof over the driver's head. That would have been an amazing tribute to Dan Gurney and his winning 1967 Ford GT40 Mark IV. You can check out the '67 Heritage edition on the Ford GT configuration page and see how it looks compared to the other options and packages available. No word on how much extra the '67 Heritage edition will add to the price of the car, but if you have to ask, you can't afford it.